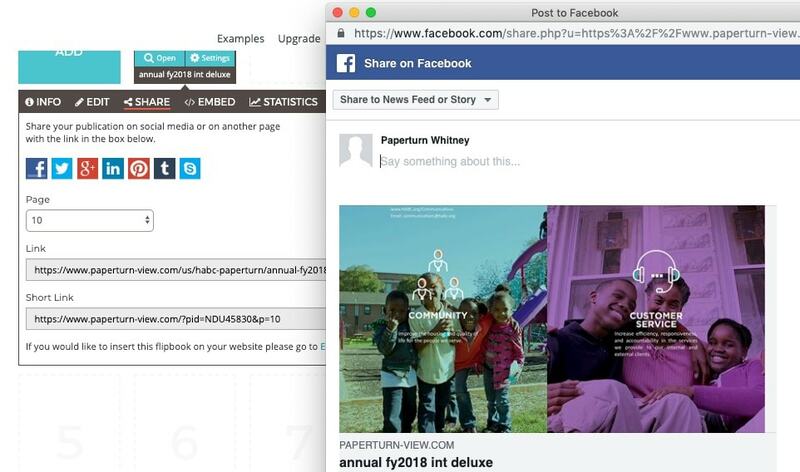 Paperturn lets you share your flipbooks with a single click to the most popular social media sites out there, including: Facebook, Twitter, LinkedIn, Pinterest and more. Additionally, both you and your readers can easily share your flipbook on social media. Step 1: Log into your account, go to publications and select the flipbook you wish to share. In the flipbook’s menu options, click on the “share” tab. Step 2: Select the page you wish to display as an image preview once the flipbook is shared. 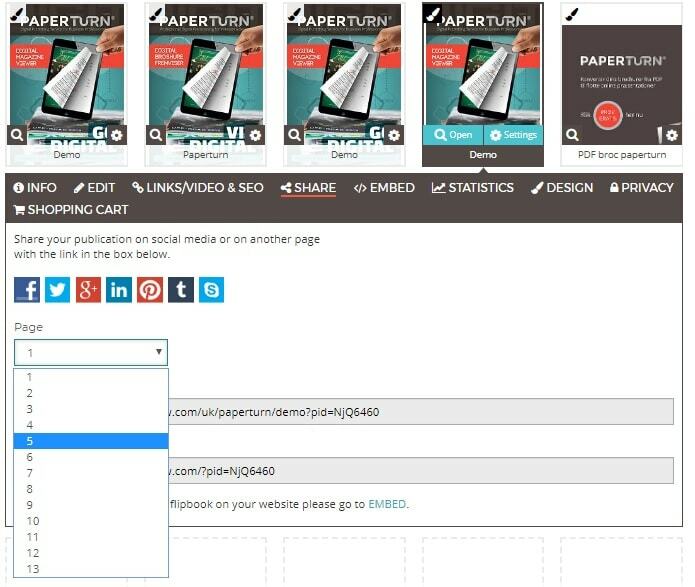 *Note - selecting a specific page also means that when the flipbook is opened, it will open to that specific page (deep-linking). Step 3: Select the social media platform you wish to share your flipbook on from the list. *Note: If the desired social media platform is not on the list with shortcuts, you can always copy the generated link below and paste it. Step 4: Share your flipbook. Once your readers have opened your flipbook, they can easily share it further on a social media site of their choosing, with the same functionalities as listed above. The “share” icon is available in the top toolbar when viewing a flipbook. You can also disable the share function if you do not wish for your readers to be able to share your flipbook further.